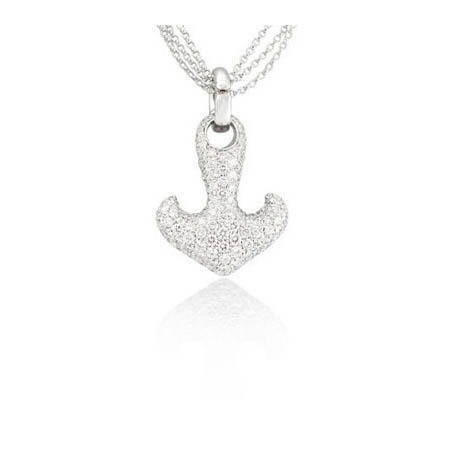 This LEO PIZZO 18k white gold anchor pendant necklace, features round brilliant cut white diamonds of D-E color, VVS clarity and excellent cut and brilliance, weighing 2.75 carats total. The clip on the pendant opens to accommodate a multitude of different chains. The 18k white gold triple chain measures 17 inches in length and The pendant measures 26mm x 21mm.